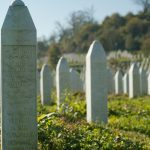 Remembering Srebrenica would also like to keep you up to date with our work, upcoming events and new resources resources through our e-newsletters. I understand that the personal information collected in this form will be used solely to add me to the mailing list to receive the e-newsletter. Remembering Srebrenica will not share my personal information with other organisations.